Join us for a week of summer fun! We will learn to use a Baby Lock sewing machine to make a pocket puppy dog pillow, Emoji zip purse and American Girl outfit. 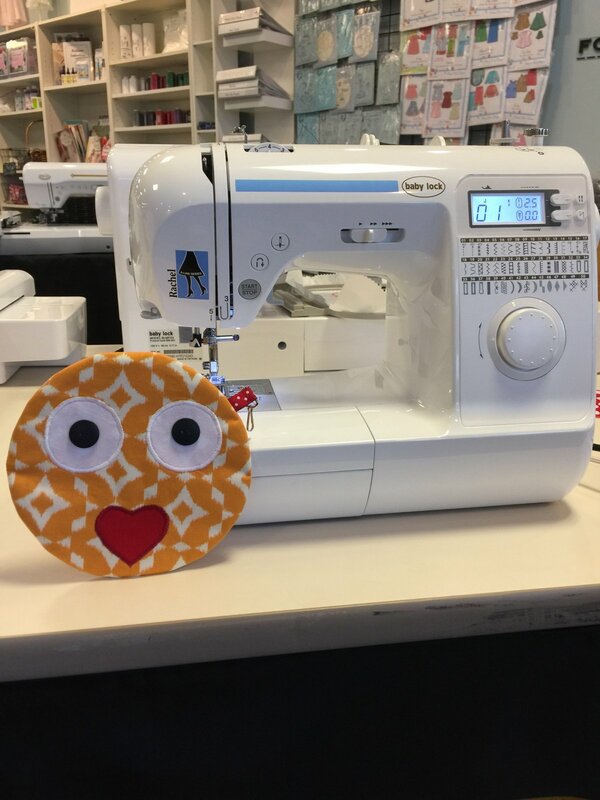 Use of a Baby Lock machine and all materials are included in the price as well as some great scissors and sewing notions your child will get to keep. A "Babylock Embroidery Expert", Brenda has been working at The Sewing Room for over two years. She is a creative and accomplished seamstress as well as being informed in the application of technology and sewing. She is enjoying a third career as owner of an embroidery business and in her spare time teaches various sewing classes at The Sewing Room. Price includes everything needed (fabric, sewing machine, thread, etc) to make the delightful projects, and your child will also leave with their very own sewing scissors, tape measure and seam ripper.